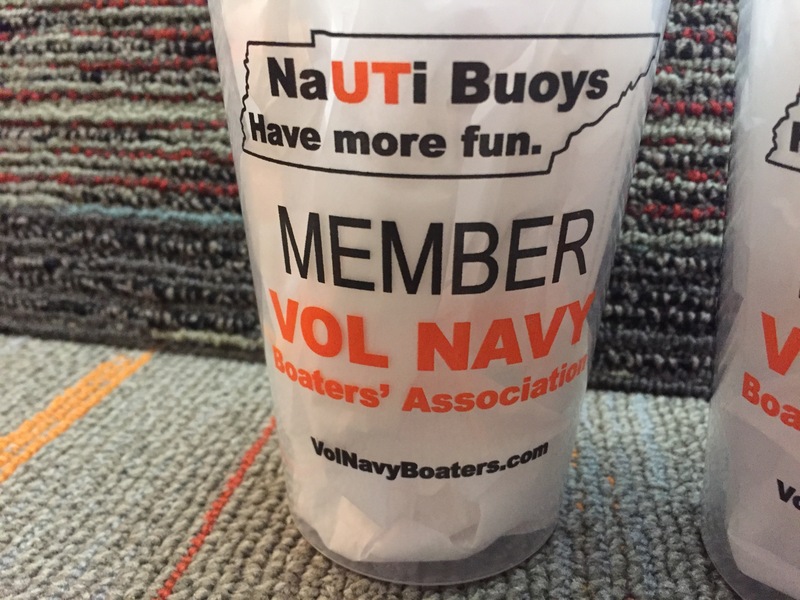 Vol Navy MEMBER Cups – “GIVE HIM SIX” . 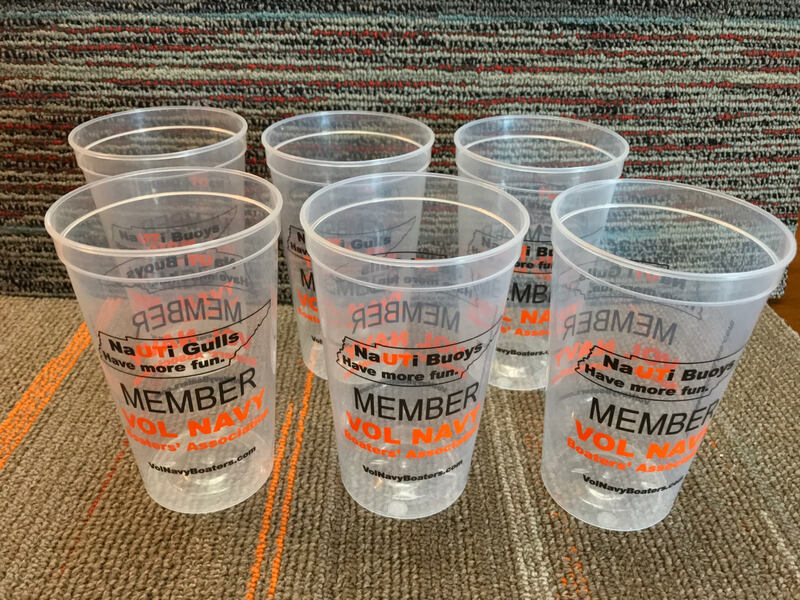 . . Set of 24 transparent 22 oz stadium cups featuring orange & black VNBA naUTical design for the price of 18. 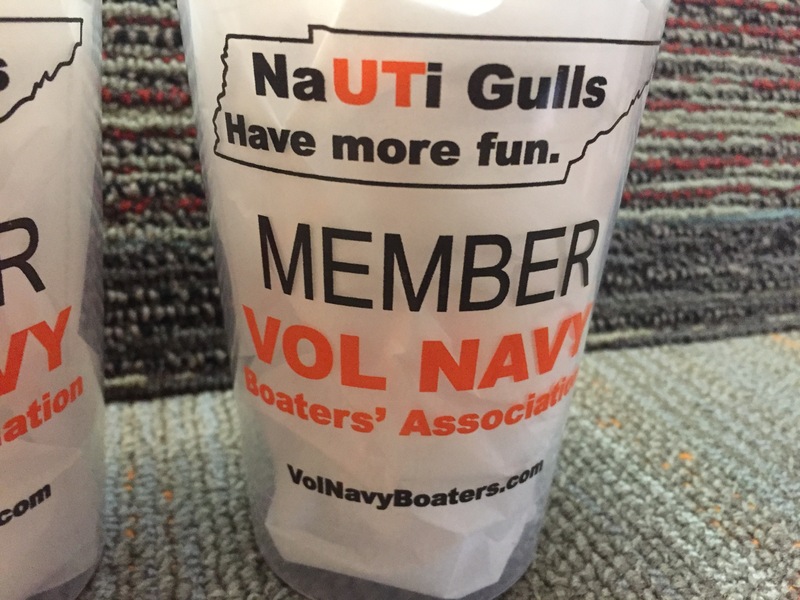 Everyone knows that NaUTi Buoys & NaUTi Gulls have more fun. 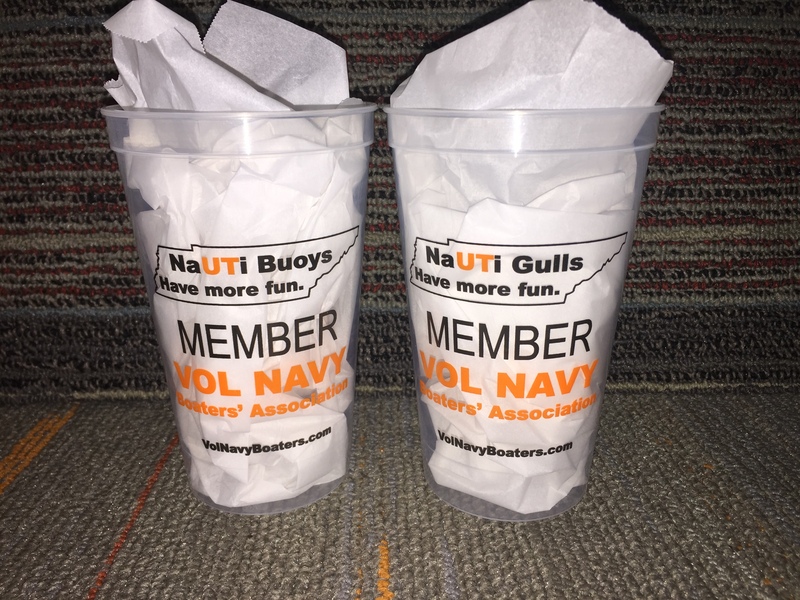 So have more fun and show your pride as a MEMBER of the Vol Navy Boaters’ Association at the same time with these attractive game day cups. 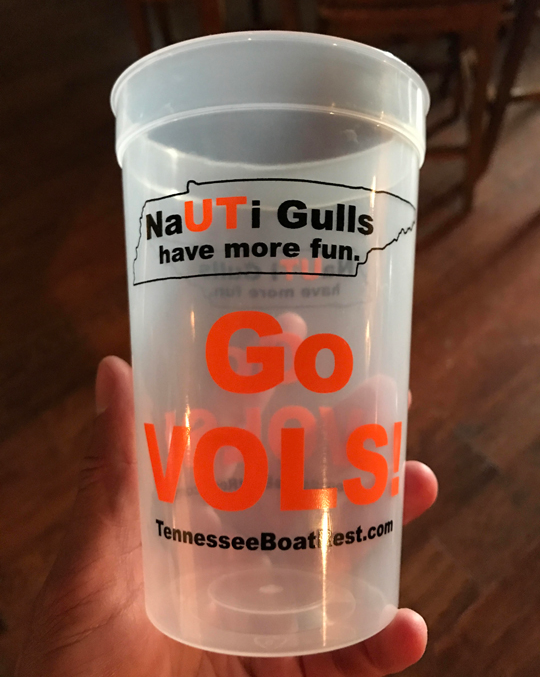 Each transparent 22 oz plastic stadium cup features colorful lettering with a naUTical-themed message for both Buoys & Gulls. 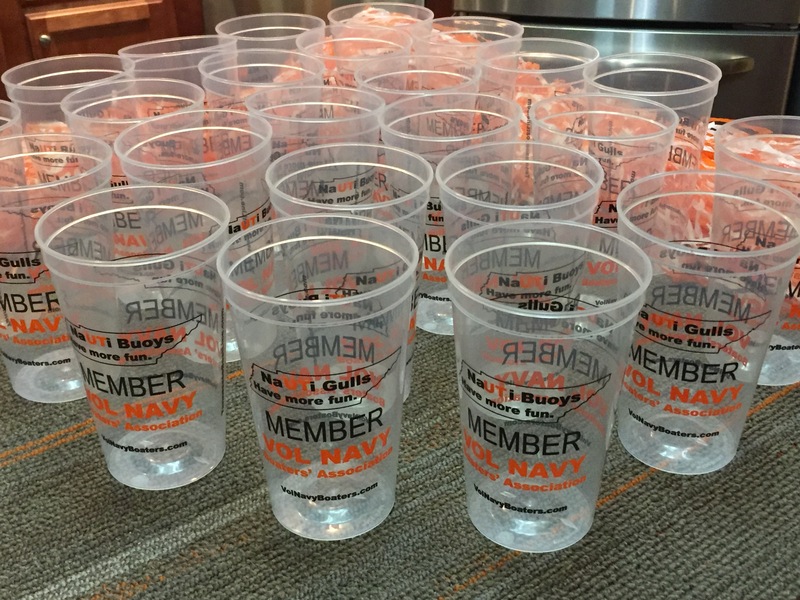 Purchase a set of 24 cups for the price of 18 with this “Boat Load” Special. Stock up for all of your tailgating & sailgating activities. 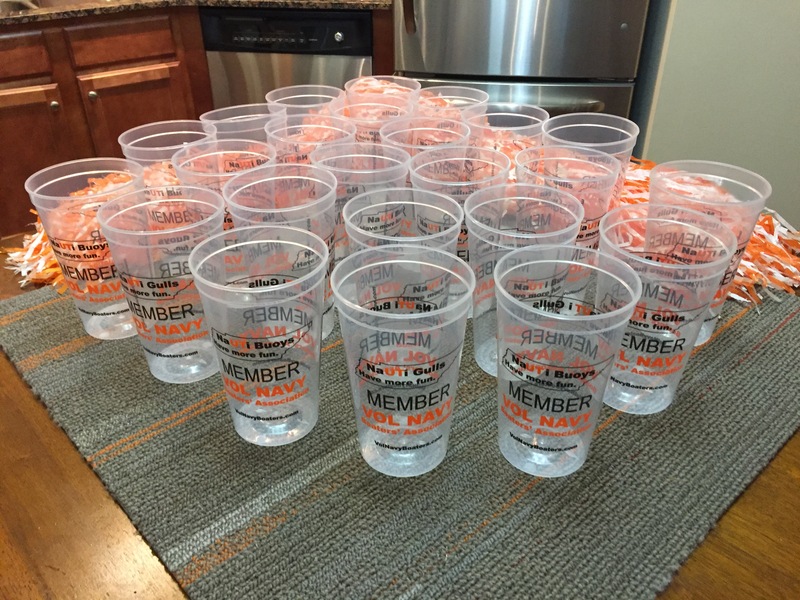 Purchase extra cups for family, friends & associates.